That terrifying moment when you realise your hands hit the top of the ride. There are different castles. Disneyland has Sleeping Beauty's, Castle. The main castle at Disneyworld is Cinderella's, Castle. But Rapunzel, Bell, and Ariel's castle are all visible at the Magic Kingdom. Tower of Terror is much more fun in Orlando. The ride is longer, you travel through the hotel, and its a bit more shocking. Rock n Rollercoaster in Orlando was one of the coolest roller coasters I've ever been on. Although California Screamin' is heaps of fun because it rockets you off at the start, Rock n Rollercoaster does the same, and you travel the whole ride in the dark. It's the more adult version of Space Mountain (and Space Mountain is freaking awesome). Space Mountain in Disneyland is MUCH MUCH better than the in Orlando. You can see the track throughout the ride in Orlando, takes away the shock value. Oh yeah, if you're tall, you WILL be able to touch the top of the ride. It's downright terrifying! There were subtle differences in the starts/finishes of rides. The wait in Orlando was much more pleasant. There's more to look at, and they have interactive games to help pass the time. Maybe it's the familiarity, but I like the setup of the rides in Anaheim better. Anyone who knows me is aware of my obsession with Disney however, my obsession with Harry Potter may be a bit stronger. The Wizarding World of Harry Potter was my favourite part of the trip. Hats off to Universal for the Diagon Alley portion. You literally felt immersed in the world of Harry Potter. I preferred this side to the Hogsmeade/Hogwarts side. For those who are unaware, Universal Studios has two different parks. Hogsmeade/Hogwarts is in one. Because it was taking all the revenue from the other park, they built Diagon Alley and made the Hogwarts Express to connect you to the two parks. It was all the magicalness of Disney with the amazingness of Harry Potter. I don't think I stopped smiling the entire time we were there. I'm pretty sure the owl got lost with how frequently I moved while living in Cali because I should have gone to Hogwarts. The even more amazing part: you can freaking do magic! That's right, MAGIC! Certain wands allow you to perform certain spells throughout both sides of the park. 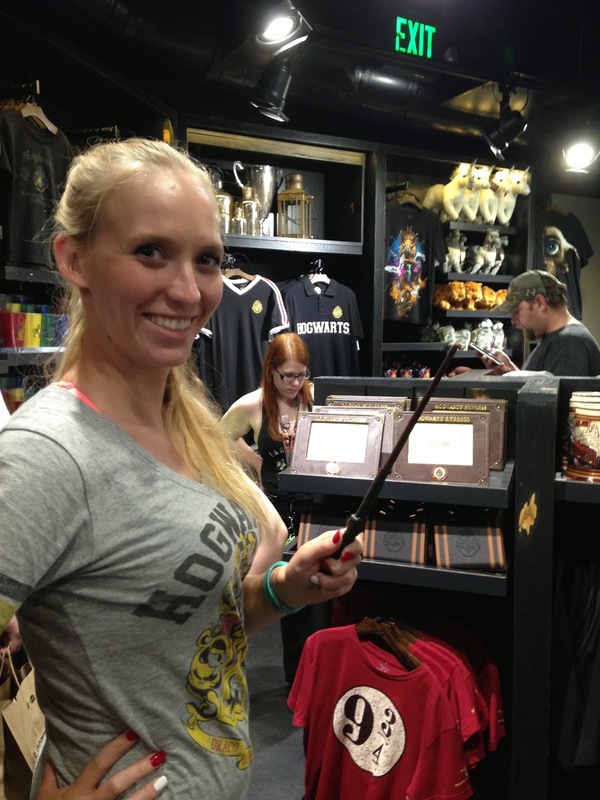 It took all the restraint I had not to purchase one of these wands. At the end of the day, I was shocked at how badly I wanted to go back to Australia after my stint in America. Seriously, American food tried to do me in. My body is still paying the price a month later! I am euphoric to be back in the place I now call home...Australia! 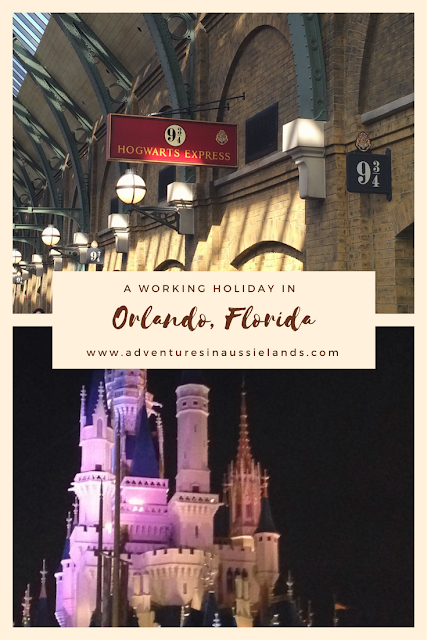 Have you ever been to the Wizarding World of Harry Potter or DisneyWorld before? What's your favourite part about visiting these magical places? Let me know in the comments below! 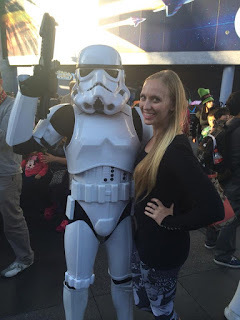 For more information about my time in the US be sure to read: Returning Home Part 1. Curious about the differences between Australia and the United States? Click here for: Moving to AUS and differences between AUS and the US.